It’s that time of year! The time to start making lists and checking them twice. Have your children been naughty or nice? If they have been nice, I have a fun toy that they would love, and I’m going to tell you all about it! I’m sure some of you have heard of the Wubble Ball right!? 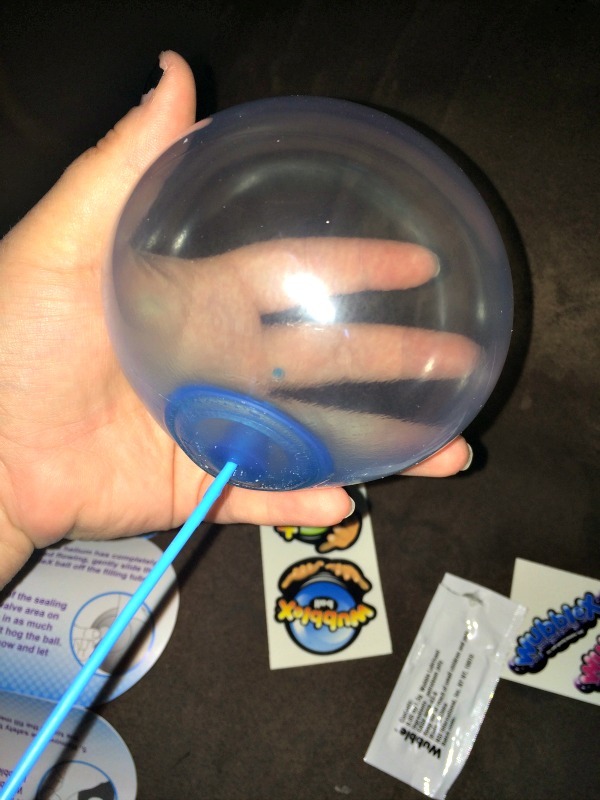 Well they have a brand new toy called the WubbleX Wubble Ball and according to my 7 year old, it’s pretty freaking cool. 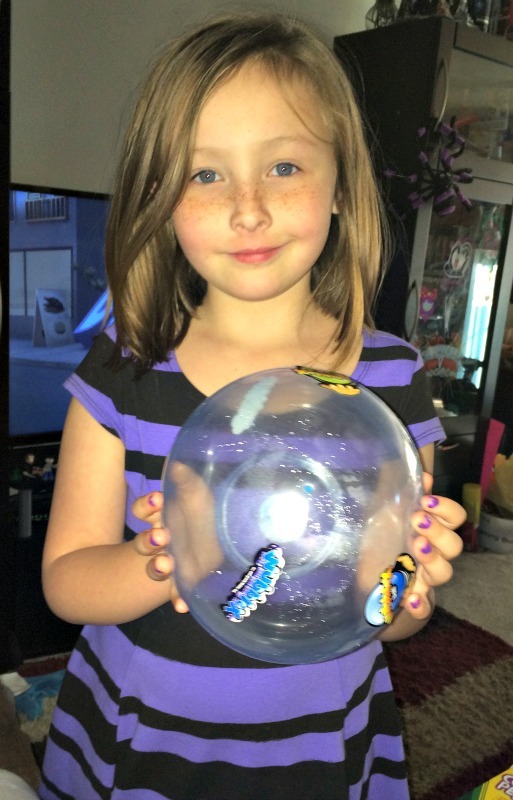 Fill it with WubbleX helium and your WubbleX ball plays like nothing you’ve ever seen before! You can bounce it, watch it float, hit it, kick it, throw it, and catch it! It’s fun for everyone! The secret is the WubbleX helium! Once you fill your WubbleX ball with the helium (Note, the WubbleX helium can is sold seperately! Don’t forget to , you your ball will become weightless! It’s like having a giant bubble that doesn’t pop! What could possibly be better than that right? It’s easy to set up, and easy for everyone to play with and enjoy! 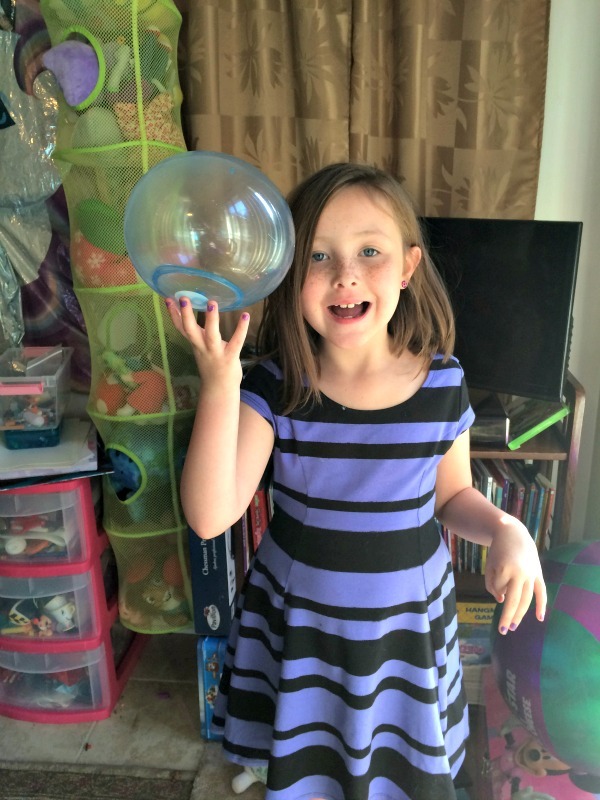 My daughter had so much fun chasing the WubbleX Wubble Ball around the house. Our cats also thought it was pretty fun, but we had to make sure they didn’t get near it, because they would have popped it! I even got up and played around with her too! You should know that the WubbleX is for indoor use only, you don’t want it to fly away! And don’t worry, when you the helium is gone out of your WubbleX you can buy another can and start the fun all over again! 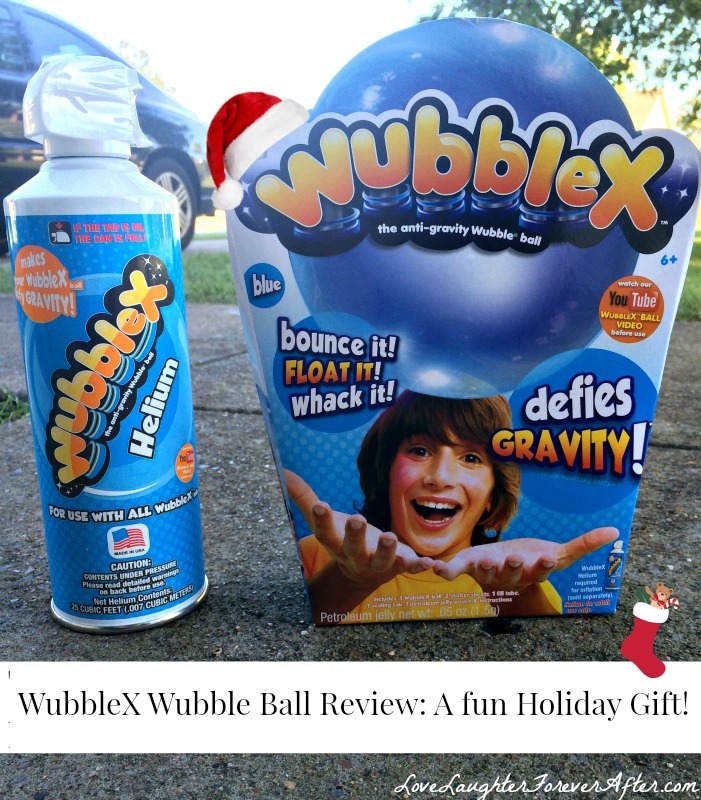 In conclusion, we give the WubbleX Wubble Ball 2 thumbs up. It’s a really fun toy to play with by yourself or with friends! Head to the Wubblex Website to order yours today!